Well, she looked like she was about 7 anyway. I was at a soccer game in the park next door to where I live. This is a Hispanic neighborhood and the park is always full of people hanging out, celebrating birthdays, jumping on moonwalks, playing soccer, volleyball and basketball. I love to walk through the park in my bare feet at night to wind down before bed. Last night, while I stood captivated by the skill of the soccer players, a little voice came from somewhere around my knees, “Querría un chocolate?” I told her, “No, gracias,” and watched as she quietly went from one person to another. No fear in her face. No remorse when she didn’t get a sale. And by the third person she sold a chocolate. Wow! The perfect salesperson. She had something people wanted, but she didn’t push. And she didn’t discriminate between one person or the next; she just quietly asked them all. I started thinking about how I tend to believe that selling is rude. I don’t want to “get in people’s faces” and annoy them. What I witnessed was just the opposite: I didn’t want a chocolate, but did I think that girl was rude or annoying? Not for a second. In fact, I was inspired by her. How about you? Have you ever seen that selling can be simple, even heartwarming? Last week, I announced in my newsletter that I am cutting back to one newsletter per month because I need to focus on getting more products onto my site (right now there are very few framed and unframed prints, and almost no wallpaper photos on the site). Instead of creating new photos, I’m going to be busy putting up new products on the site using photos I already have, and trying to find new outlets to sell my work. This will affect my blog activity as well. Instead of posting three times a week (as I have more or less been doing), I will be posting just once a week on Monday mornings. You will enjoy seeing pictures here that you may not have seen before. As new products are added to the site, I’ll let you know about them here. Yesterday’s newsletter seems to have hit a chord with lots of people. It’s all about new beginnings (spring flowers) in the autumn (new school year). Here are some flowers from last May for my show and tell. What do you have for show and tell this year? 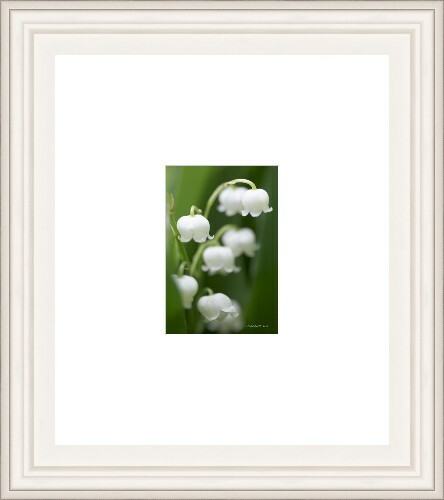 I just made this framed print of a new lily of the valley image, which is coming out in tomorrow’s newsletter. Couldn’t wait to share it with you. Small print size seemed right to me since viewing the lily of the valley in nature is an intimate experience. Only when you get down on the ground can you see the tiny bells and smell the beautiful aroma. 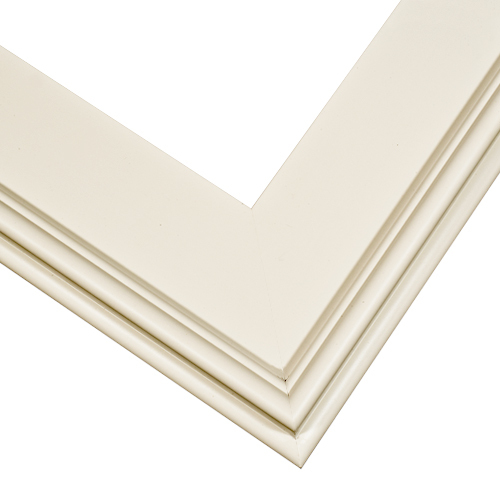 I also like the wide mat to isolate the image more and add to the feeling of delicacy. What do you think? Would you do anything differently? I’d love to hear your opinion. Last week’s newsletter featured a farmers market in California. I grew up on the East Coast and Midwest of the United States and am amazed by the variety of fresh produce available at the farmers market here in California. Take a virtual walk down the alleyway with me. I’ll wait while you pick your favorite fruits and vegetables. Is there a farmers market in your town? Feel free to post your photos in the comment section below.